It’s been a long, hot day and all you want is to sit back in the hammock and enjoy your favorite adult drink. But, being a grown-up can be tough work sometimes, and we don’t always have time to step away and enjoy the benefits of a stiff drink. Thankfully, the world of alcohol flavored e-juice is here to save the day. Offering the same great tastes, you love without the painful hangover, alcohol vapes are a perfect addition to any vapers repertoire. Vaping, in many ways, is about abstinence and healthy life choice. We choose to stop doing the things that were harmful in favor of healthier habits. Many of us are no strangers to the association between alcohol and cigarettes, and we know how hard it can be to quit one without the other. If you find yourself in the position of making better choices for yourself, alcohol vapes can be a great way to tackle the cravings for just a short while. They are not a solution to drinking less but can be a great addition to an already active plan. There is no alcohol in alcohol flavored vape juice. Whatever your reason for picking up an alcohol e-liquid, quality and price are important to you. Our collection of the best alcohol flavored vape juice would be considered Private Reserve by even the most refined cognac snobs. With the best-priced ejuice around and some of biggest names in the business, it’s time to bump a top-jar and dive in! Treat yourself with a bottle of Rum Horchata from Vapetasia’s Hooch line-up! This Horchata and Rum vape juice are light and milky on the inhale and dank and spicy on the exhale. With just hint of sugared rum to round out the finish, Rum Horchata is a refined experience from the very beginning. Perfectly suited with top hat and cane, this one is great for sharing and a night on the town. Another in the ever-popular Hooch line has vapers coming back time and time again. Mango Strawberry Daiquiri is a juicy, wet, and delicious alcohol vape that’s so good you’ll be wondering why you aren’t repeating yourself. An intense and flavorful experience that’s filled with fruit drink on the inhale and a blast of perfect mango on the exhale. From Motley Brew comes an award-winning flavor combination that’s sure to please. Old Fashioned is a glorious blend of whiskey, bitters, and citrus with a smattering of sugary sweetness to send it home. A full-on adult themed vape juice; Old Fashioned is reminiscent of your grandad’s favorite summertime special. If you’re looking for the finest in alcohol recreations, look no further than Element Absinthe from the Tobacconist. With a reputation for quality above all else, the Tobacconist has gone to great lengths to bring realism and depth to blend of refined tobacco flavors that greet you on the inhale. The rich and crispy absinthe notes send you out on the finish and leave you wanting more until the last drop. It may be a good idea to get more than one bottle if you plan to share as this one has the potential for instant ADV material. 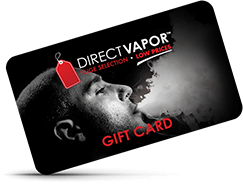 Direct Vapor knows how important your juice is to you. We work hard to bring you only best ejuice prices while delivering the premium quality you can rely on. It’s this same spirit of customer satisfaction that led us to create our alcohol flavored vape juice collection. If you’d like to sample a new flavor profile or are already a fan of adult drinks, be sure to pick up a case of vaping’s finest today!